Mauricio Calderón Rico is a Mexican filmmaker with a B.A. in Filmmaking and Television and an M.F.A. in Scriptwriting from Centro de Diseño, Cine y Televisión in Mexico City. Mauricio has received a screenwriting grant from the Young Creators Program of the Mexican National Fund for Culture and the Arts (FONCA). His feature film project Los días tristes received a project development grant from the Mexican Film Institute (IMCINE). 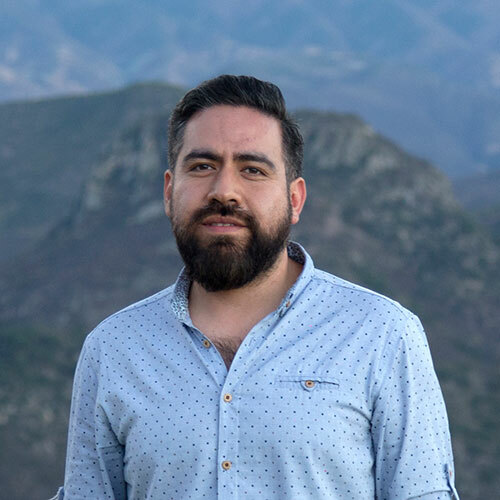 His script Todos los incendios received the award for best feature film script at the IV Screenplay Festival of Mexico City and was a finalist at the Oaxaca FilmFest. His short films have been screened in international film festivals such as the Morelia Film Festival, the NYC Shorts Film Festival and the Berlin Lakino Festival, among others. Mauricio is a founding member of Colmena, a collective of audiovisual creators. Todos los incendios — Bruno, a pyromaniac teenager mourning the death of his father, sets fire to objects, records them and uploads the videos to the Internet. He begins an online relationship based on a lie and runs away from home the day her mother formalizes a new relationship.